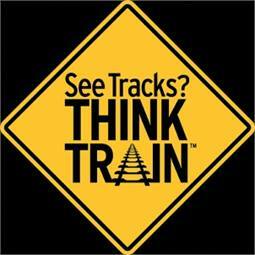 Operation Lifesaver Inc. (OLI) launched a new public service advertising (PSA) campaign called "See Tracks? Think Train!" which aims to reduce pedestrian and driver injuries and fatalities around railroad tracks by highlighting behaviors that put people at risk. The campaign highlights common risks drivers and pedestrians take each day, such as trying to beat a train at a grade crossing and walking on railroad tracks. Pedestrians and drivers often do not realize how dangerous it is to walk on or near railroad tracks, or how long it takes the average freight train to stop, said OLI President and CEO Joyce Rose. In fact, it can take a mile or more for a fully-loaded train to come to a full stop, making it difficult for engineers to avoid a collision even in an emergency situation. Launched with the help of the Federal Railroad Administration (FRA), Federal Transit Administration (FTA) and Association of American Railroads (AAR), the PSA campaign features bilingual television, radio, print and billboard advertisements aimed at educating drivers and pedestrians in the hopes of saving lives. Preliminary FRA data show 908 pedestrians were injured or killed while walking on or near railroad tracks in 2013. 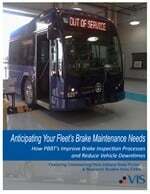 That’s up 7.7% from 843 pedestrians in 2012. Additionally, 1,193 people were injured or killed at railroad grade crossings, up 1.5% from 1,175 in 2012. Education and outreach is key to saving lives, and the See Tracks? Think Train! PSAs will be supplemented with ongoing education efforts of OLI’s 50-state network of volunteers who work with the public through events at schools, with law enforcement, first responders, professional drivers and community organizations.